Ray Parlour believes his former club Arsenalneed as big a makeover this summer as struggling Manchester United. The Gunners’ top-four hopes were dented on Sunday as they suffered a shock 3-2 defeat at home to Crystal Palace. Just hours earlier, Ole Gunnar Solskjaer’s United were beaten 4-0 by Everton as the Red Devils’ poor form continued. Much has been made of the job Solskjaer has in front of him, with United preparing to strengthen his squad substantially during the upcoming summer transfer window. And Parlour says the same can be said of Arsenal manager Emery, who will aim to secure a number of signings this summer after a quiet January transfer window. ‘This was always going to be a big test for Emery this season,’ Parlour told talkSPORT. ‘I said at the start of the season if they get fourth place it would be a brilliant season for Arsenal. ‘He’s still finding out his squad and the transfer window is going to be very interesting to see what he does, whether he moves any players out and brings more in. "The team selection was very, very strange but you can't knock Emery." "Arsenal need as big a clear out as Man United. "@RealRomfordPele says Arsenal's loss to #CPFC proves how much work needs to be done at the club. Defeat to Crystal Palace, now safe for another Premier League campaign, ended a run of ten straight league home victories for Emery’s Arsenal. But Parlour refused to point the finger at Emery and said he deserves praise for his first season in north London. He added: ‘After seeing Manchester United and Spurs lose, it was a really good opportunity at home. ‘Arsenal have had a great record at the Emirates this year – they have only lost to Manchester City in the top six, have drawn with Liverpool and haven beat Man United, Spurs and Chelsea. ‘So you would have fancied them, I didn’t see five goals in the game. ‘The team selection was very strange. They’d just come off the Napoli win and you’re thinking, ‘let’s kick on now, there’s only four games left, play your strongest team’, but he didn’t. Unai Emery reminded doubters that Arsenal's Champions League hopes are still in their hands despite a 3-2 defeat to Crystal Palace. Arsenal succumbed to their first home league defeat since August on Sunday, with soft defending again a major factor. With Mesut Ozil having cancelled out Christian Benteke's opener, Palace hit back with two goals in the space of eight second-half minutes, making Pierre-Emerick Aubameyang's strike nothing more than a consolation. The Gunners would have moved into third place, two points clear of rivals Tottenham, with a win, but Emery pointed out that Arsenal can still decide their own fate despite passing up a huge chance to boost their qualification hopes. "A big frustration, it was a big opportunity," he said. "But we can say we had a big opportunity in the matches before and we took a lot of points in a lot of key moments that give us the opportunity to be now, in our way, with the possibility to achieve our targets. "Our first target is to get to the Champions League through the Premier League or Europa League. We lost a big opportunity but it doesn't change our idea. "It's in our hands, we can continue winning and being in the top four." Arsenal's set-piece frailties again came back to haunt Emery, with Palace opening the scoring from a free-kick before James McArthur headed in the winner unmarked from a corner, while Wilfried Zaha's goal came due to an error from Shkodran Mustafi. And Emery acknowledged that set-pieces in particular are proving a difficult hurdle for his side to overcome. "If we were better in the set-pieces maybe we could win this match," he added. "In all the season I think that has been a problem. They have good players and in the set-pieces we weren't strong like all season. We struggled more than we wanted in these situations. "A day can happen like today. They have very good players and an experienced coach. They won at Manchester City, Newcastle and Leicester." The right man to take Arsenal into a new era! Unai Emery has done more than a commendable job in his first season as the new Arsenal boss. Currently above Manchester United and Chelsea, they look most likely to finish in top four in the English Premier League this season. The Gunners could overtake Tottenham in third place should they win tonight's match against Everton. Who would have thought this would be what the table would like back at the start of the season. The signings he made were spot on. Four players were brought in and all of them have become integral parts of the squad. Lucas Torreira is like a pint-sized warrior. He has never been scared to get physical with opposing players and goes into every tackle almost knowing that he will come out of it with the ball. His first goal for the club against Spurs has already made him a fan favourite and the celebration showing just how much it meant to him. Bernd Leno has now become the team's first choice ahead of Premier League royalty Petr Cech. The German keeper is god on the ball with his feet and he has enabled Emery to inculcate his philosophy and brand of football on this side. Sokratis has been an absolute rock in Arsenal's defence since his arrival. As good as Koscielny has been over the years, his body is just not able to take it anymore with far more frequent injuries has left a massive hole in the defence. Sokratis has taken over the mantle of being the leader in the backline and he has been almost faultless this season. Matteo Guendouzi has often been named in the starting eleven and this goes to show how superb he has been. Picking him up from the French Second division meant Emery really knew what he wanted and boy has he delivered. The 19-year-old has been great whenever he is on the field and is definitely one for the future. That being said Arsenal still do have gaps in their team that they will have to fill in order to be thought of in the title race for 2019/20 season. Ryan Fraser has almost single-handedly dragged Bournemouth to a strong mid-table finish. His partner in crime Callum Wilson has dovetailed with the Scotsman perfectly, knowing where to be so that Fraser could find him. His underlying statistics show that this is no flash in the pan, one season wonder. Over the course of the season, he has been consistently creating chances for his teammates from out wide. Six goals and 10 assists this sees him as one of the contenders for the Playmaker of the season award, just two assist shy of the phenomenal Eden Hazard. This season he has created the most number of clear goalscoring chances with 22, followed by Hazard considerably behind with 15. This shows that in a side with more clinical strikers, he could have had almost double the assists he has. He has averaged over 2 key passes and taking 1.5 shots per match. This is along with winning 2 fouls and losing the ball under once a game. It really shows a really well rounded hard-working winger. This is a position Arsenal has been struggling to fill since a while now. As good as Alex Iwobi is, Arsenal can't really look to compete for the Premier League with him as the senior winger in the side. A frontline with Fraser, Aubameyang and Lacazette would be something that would get Gunners excited. He would be great going both ways, his numbers in the attack are better than any forward from teams other than the big six teams. He has been playing consistently well and deserves a move to a team can have a go for some serious silverware. As good as Arsenal has been going forward, they have been just as leaky in defence. Shkodran Mustafi is just not cut out for it, while Sokratis can't fend off attacks all by himself. The perfect partner for him would be Burnley defensive general, James Tarkowski. This season in the league alone he has averaged 3.2 tackles and interceptions along with an astronomical 6.6 clearances per match. This might be down to the fact that Burney sits deep and defends in numbers. Going forward, he is pretty good as well. He makes around 34 passes per game along with 3.3 accurate long balls per match. This shows that although he doesn't have the ball for long spells of the game, he knows what to do when he does have the ball at his feet. He has also chipped in with 3 goals and an assist again showing that in a better team he does have the underlying numbers to be the best. A tall, strong, ball-playing defender who is good in the air as well is what Arsenal need to fully immerse themselves in Emery's free-flowing, expansive football. Valued at £15 million he would be an astute signing that will solve a lot of issues as well as allowing the club to invest elsewhere in the squad. In addition, at 26 years of age, he could form a good partnership with Rob Holding when the latter returns from his long-term knee injury next season. 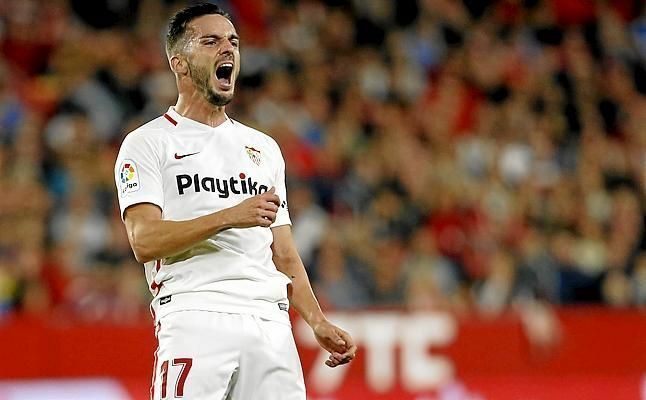 Sevilla man, Pablo Sarabia, has been very impressive this season. 11 goals and 10 assists in the La Liga show his consistently good performances. Aaron Ramsey already on his way out while Ozil's future looks uncertain at the moment as his huge wages and lack of impact on the team may see him leave the Emirates as well. Sarabia will be the perfect creative player on the side behind the likes of Aubameyang and Lacazette. Dovetailing with the likes of Andre Silva and Ben Yedder, he would slot into Emery's system perfectly. The former Real Madrid youth player is not only creative but also works hard for the team. He will drop back, follow his man and win the ball back to start quick counters. He could well be the ideal replacement for the departing Ramsey. He currently takes 2.2 shots per match while also laying off 2.1 key passes for his teammates. Also, he makes great use of the ball when he has it and loses it only once a match, which is outstanding given the advanced positions he takes up on the field. This season he has created the second most number of clear goalscoring chances with 13, behind only Leo Messi. Valued greatly by his current club, he would be a statement of intent from Arsenal that they no longer will target just finishing in the top 4 but actively compete for titles. Unai Emery claims Aaron Ramsey’s ‘confused’ state of mind played a part in his decision to leave the Arsenal star out of his side on a regular basis earlier this season. The Wales international began the campaign as a mainstay of Emery’s new-look team but, amid uncertainty surrounding his future, Ramsey failed to start a single Premier League game between October 7 and December 5. Emery reportedly advised Arsenal to withdraw a contract offer made to the scorer of two FA Cup final winning goals and the 28-year-old subsequently agreed a deal to sign for Juventus , who he is set to join in the summer. Despite his future lying elsewhere, Ramsey had re-established himself as a key component of an Arsenal team that has reached the semi-finals of the Europa League and is closing in on a top four finish in the Premier League, before he sustained a hamstring injury against Napoli on Thursday which will rule him out of action for up to three weeks. ‘His progress this season is amazing,’ Emery said. ‘At the beginning (of the season), he was a little confused maybe, because he is in the last year of his contract. ‘For us, and for me, he is a very important player but his confusion maybe did not help us at some moments in the season – not like his performances now.